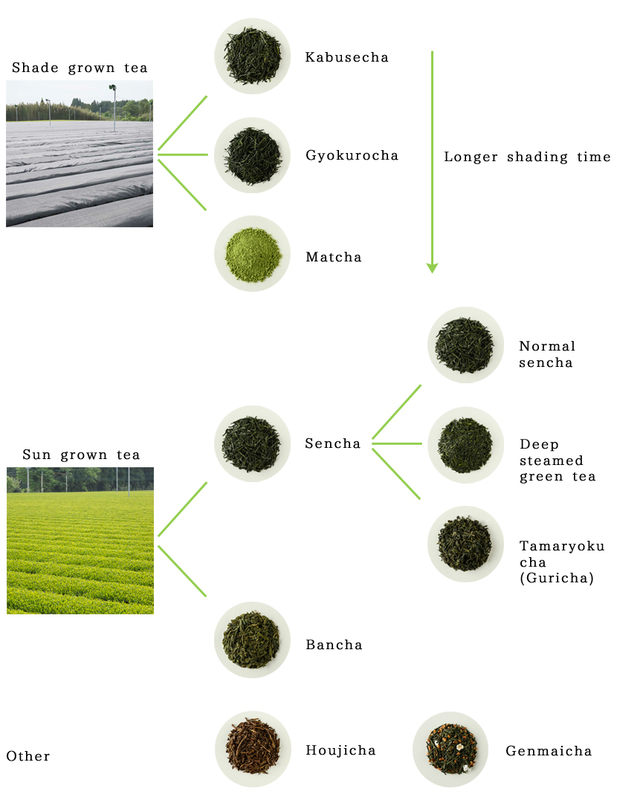 World of Green Tea | Chato Co., Ltd. Tea can be divided into 3 broad categories based on its manufacturing process. There is fermented tea (green tea), semi-fermented tea (oolong tea) and fermented tea (black tea). These differences are brought about by the different manufacturing process of the tea plant (camellia sinensis). 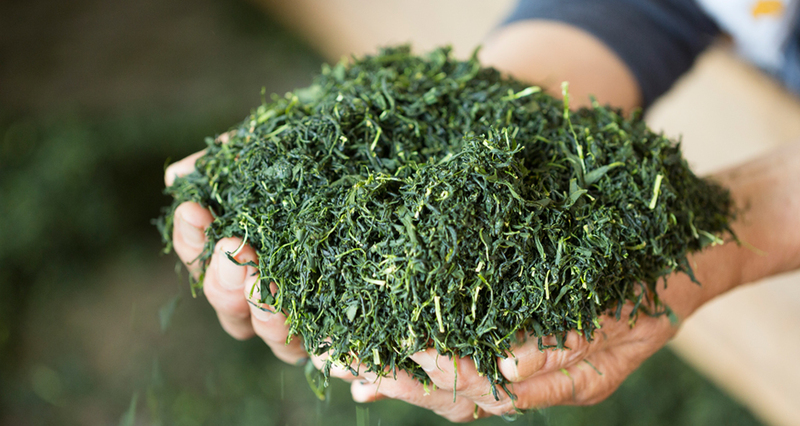 4 Different varieties of green tea can be produced by making changes in the nurturing of plant and it’s processing. It has been said that the first person to enjoy the taste of tea was the legendary Emperor of China around the year 2700BC. In order to investigate what kinds of plants people could consume, he rushed about the countryside tasting different types of wild grasses and plants. Despite being exposed to around 72 poisons in one day, it was said that biting on the leaf of a tea plant neutralized all the poisons. Tea was introduced to Japan in 800. Monks trained in China brought back with them both tea leaves and seeds and thus began the cultivation of tea. The consumption of tea was centered mainly around the temples in the 1300s especially amongst nobility and the samurai. In the 1500s, by using the Zen philosophical ideas Wabi and Sabi, Sen no Rikyu brought life to the spiritual basis of the way of tea or “Sado”. Around the same time, the growing areas of tea cultivation meant that even common people began to make bancha for their own use however the tea they drank was of a more reddish colour. The delicious tea we enjoy now with its water colour and characteristic smell came about in 1738, almost 150 years after the time of Sen no Rikyu. This Uji Manufacturing is related to the current green tea we enjoy today. Black teas and oolong teas are teas whose aroma one enjoys. 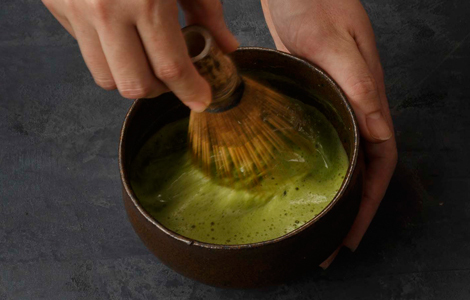 Green tea on the other hand, with youthful and crisp scented leaves, its characteristic sweet aroma brought about by heating and roasting, its beautiful green water colour and its amino acid derived “umami” is a tea overflowing with charming features. Taste was once divided into 4 categories: sweet, salt, bitter and sour. However, in Japan, foods like kombu and dried bonito flakes do not fall under any of these 4 so a 5th taste, “umami” was created. When you brew green tea, certain chemical compounds like catechins, amino acids and caffeine are released. It is the balance of these compounds that determine the taste of tea. The complex interaction of these various compounds and aromas bring about the rich flavour of green tea. When brewing green tea in a Japanese teapot, make sure to drain the pot up until the very last drop. 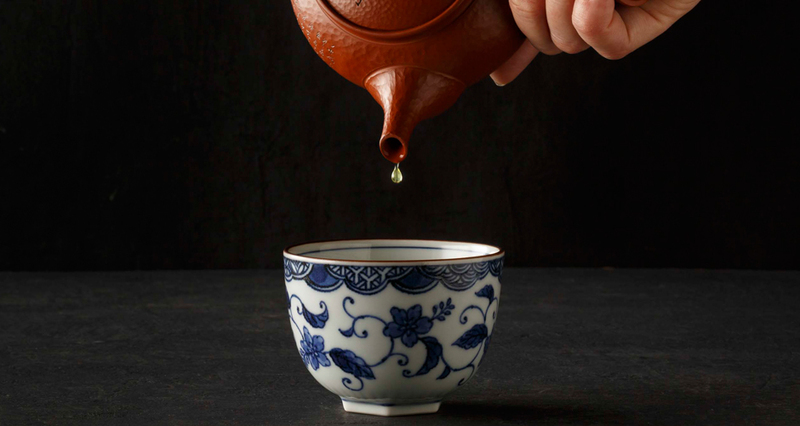 This last drop of tea is known as the golden drop and has plenty of green teas umami locked into it. Green tea is not just delicious, but has many different health benefits. Drinking green tea everyday helps to keep a sound body and mind. These effects are being noticed by people around the world with much interest. Tea has long been known as drink good for your health. Compounds like catechins, caffeine, theanine and vitamin C, etc. easily diffuse into the hot water making it an easy and delicious drink to enjoy. Green tea is rich with catechins, a type of natural antioxidant with a large amount of health benefits. They protect against obesity, high blood pressure and tooth decay, are antibacterial, antiviral, and antiseptic in nature and even help to prevent bad breath! Furthermore, green tea is one of the few drinks in which the easily damaged vitamin C, can be effectively absorbed into the body. Drinking 4-5 cups of green tea a day can help you achieve half of your 50mg daily requirements of vitamin C.
Amongst the different types of tea, the most amount of vitamin C can be found in green tea. Vitamin C in green tea is amazingly 1.5 times more than that of the red pepper which contains the most vitamin C of all vegetables! Also the levels in oolong tea are negligible and is completely absent in black tea. As seen above, green tea is a functional beverage with excellent health benefits. To enjoy the delectable taste of green tea, all you need to do is add hot water to tea leaves. Not only that, 500ml of tea contains a mere 10kcal making it a drink you can enjoy carefree every day. 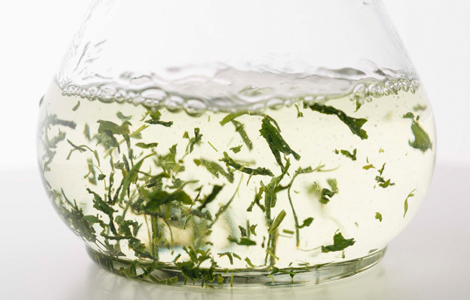 Theanine, a kind of amino acid contained in green tea is an important ingredient providing good flavor and sweetness. Also, theanine has a relaxing effect on one’s mind and body. Studies suggest that taking theanine makes one’s mind release alpha wave, which is a brain wave made in the relaxed mind state. Release of alpha waves helps one to relax but also improves concentration. The scent of green tea has an aroma therapeutic effect. The scent of green tea itself helps you to relax, get comfortable and gives peace of mind. So why not try having a cup of green tea during your break from work or study and it will not only quench your thirst, but also your soul. With focus on its health benefits, the export of green tea jumped from 1,096 tons in 2005 to a massive 2,351 tons in 2012, an increase of over 200%! Looking at the exports by country, America leads with 48% of the exports (1,127t), followed by Taiwan (262t), Singapore (257t) and Canada (144t). Even the UK has seen large sales of green tea, especially those of green tea teabags. According to an English market research committee, 2011 sales came to a staggering 22 million pounds (31 billion yen), an 83% increase from 2009 figures. 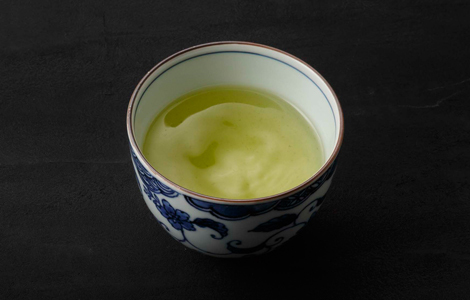 Japanese green tea has a unique presence such as its culture, tradition and hospitality, not only as a fine beverage to enhance your health mentally and physically. Japanese green tea is a fine beverage with many a health benefit and in addition a drink steeped in a unique culture and tradition. 100 years ago, exports of Japanese green tea were 2nd to that of Japanese silk. The post war era saw a drop to 10% from the peak in exports however in the last few years, there are clear signs of a revival. We believe green tea made in Japan will be widely distributed all over the world. Copyright (C) 2019 Chato Co.,Ltd. All Rights Reserved.